GARFF CERTIFIED!!! CLEAN CARFAX HISTORY! BACK UP CAMERA AND BLUETOOTH! 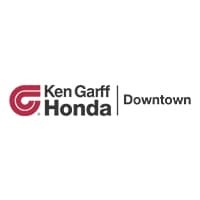 Ken Garff Certified Pre-Owned vehicle means: -Vehicle has passed a 118-point inspection -3 months / 3,000 miles comprehensive warranty with a $0 deductible, including bonus coverage for defective coverage for defective tires, batteries, brakes and bulbs -GarffCARE roadside assistance -Powertrain extending additives including: engine deposit cleaning additive, transmission condition additive, fuel system cleaner, cooling system treatment, Arctic Blast A/C treatment, power steering fluid conditioner. -Second key and remote -Free home delivery available -No hassle return / exchange for 5 days or 500 miles.